Diet and exercise are known to play a big part when it comes to health, but these factors alone aren’t the only determinants of health – especially when it applies to certain groups of people. From economic status to physician shortages, to geographic location, many other factors can affect health as well. 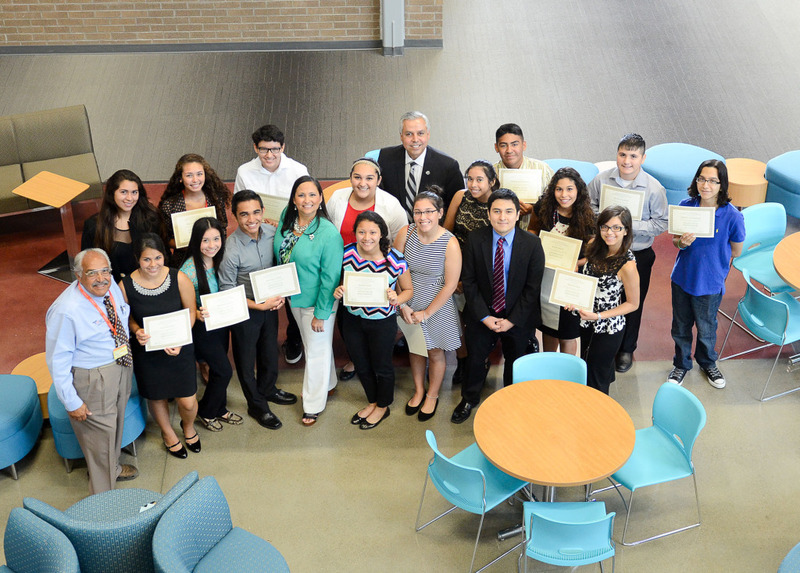 During the first Future of Health Disparities Summer Program held at the Harlingen School of Health Professions, students learned about health disparities – differences in health between groups of people – that are prevalent in the Rio Grande Valley. Hosted in partnership with the University of Texas Rio Grande Valley, the event gave students the opportunity to hear from various speakers, participate in activities, and conduct group research on how to improve health disparities in the area. Texas ranks 46 in the nation in terms of primary care physicians to patient ratio, according to a report released by the Association of American Medical Colleges (AAMC) in 2013. Attendees from HSHP, Harlingen High School, and Harlingen High School South also presented on additional topics affecting health disparities such as nutrition, exercise, and obesity. “We hope to take on the responsibility of educating the public about changes they can make to improve their lifestyle and diet,” said Haley Farias, junior at Harlingen High School South. On closing day, students were awarded certificates by program organizer, Santiago Diaz, and they also received a special visit from Inaugural Dean of the UTRGV School of Medicine, Francisco Fernandez, M.D. Diaz, a medical student at the University of Chicago Pritzker School of Medicine, created the program as a summer project to create awareness about health disparities. Though he had the option of running a program in Chicago, as a former Valley resident, he felt that there was a greater need for a service project in the RGV. Diaz plans to return to practice internal medicine in the RGV after completing his residency.